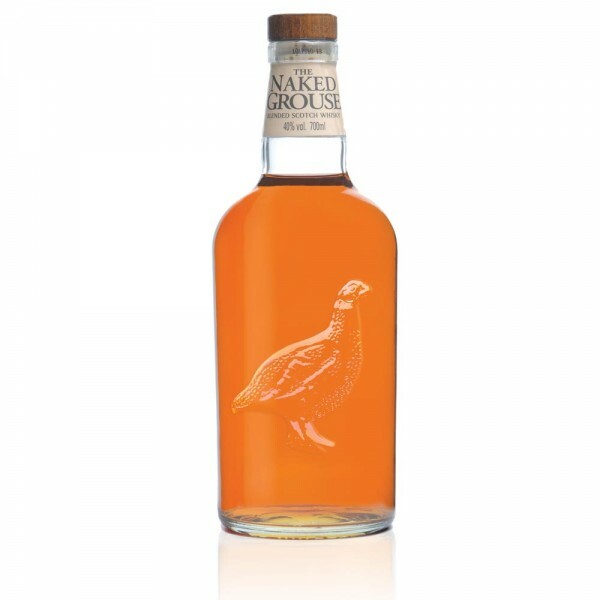 The award-winning Naked Grouse is the much-loved Famous Grouse taken up a notch - it's matured in sun-dried Sherry oak casks, to enrich the classic blend. It's sweet, rich, indulgent and smooth. This Whisky has deep, amber glow. It has lush aromas of black cherries, cocoa powder and oak, and sweet, resinous flavours of dried fruits, spicy cinnamon and nutmeg. The lingering finish is spicy, medium sweet and dripping with dark chocolate.